In our last post, we discussed the connection between bullying and respect. But how do we keep kids grounded in respect? It’s a building process, unfortunately, not as simple as paying kids excessive compliments or giving everyone participation trophies for sports events. To build self-respect, kids must have many chances to build their competence and confidence. When kids feel competent in one area, it gives them the confidence to grow outside their comfort zone. Parents, teachers, coaches, and other adults can encourage this growth to robust self-esteem by supporting kids through their learning times and, especially, their mistakes or shortcomings. When parents and teachers communicate their support, it gives kids the courage to keep trying, despite setbacks. “You weren’t capable enough or strong enough or didn’t study enough this time, but you’re growing and learning. Keep at it, you’ll get there. Look at how you built your soccer skills – practice, focus, and time. You’ll do the same for math. I have confidence in you.” It’s a powerful message. Parents can reinforce this message by connecting their kids to activities and environments that promote learning, skill acquisition, and the chance to work and play with respect-minded peers and adults. After school clubs, sports, and community volunteer activities can be great opportunities for our kids to learn new skills, help others, and develop a view of themselves as capable young adults with much to offer. Make sure that the adult coaches and activity leaders are respectful towards the participants. Adults should be good role models for the qualities we want to see in kids. Girls’ Respect Groups, our after-school program for middle school girls, led by specially trained high school girls, is a great example of respect in action. GRG was created by real high school students, two of whom were my co-authors on the book we wrote about the program in 2009, Girls’ Respect Groups: An Innovative Program To Empower Young Women & Build Self-Esteem! GRG is used in Canada, the US, and 30+ countries worldwide. Anne Rucchetto and Natalie Evans were published authors before they graduated from high school! They’re wonderful examples of the great things ALL teens can do, with adults providing a little guidance. GRG puts middle school girls directly in touch with kind-hearted teen leaders, who lend a helping hand to guide preteen girls over the rough spots of middle school. Working together, both sets of young women build self-confidence as they learn to make decisions grounded in respect. GRG covers topics of real interest – and challenge – to teens: choosing and keeping healthy friendships, managing family dynamics through the teen years, limiting the influence of media on girls’ goals and self-image, dealing with stress, and handling first romantic relationships. GRG Teen Leaders share their support and recent life experience, offering “What I Wish I’d Known In Middle School” to preteens eager to learn. Girls’ Respect Groups is a great place for teen girls to shine. As one of our teen leaders said, “GRG is a chance for teens to turn heads for the right reasons, for a change!” GRG Teen Leaders receive huge benefits from the program. The 12-week GRG Teen Leadership Training Program, run as an after-school activity in high schools and communities, supports these teens to become capable, confident leaders before they run middle school groups. All these young women enter the training program eager to help younger girls, but all are surprised by how much they learn about themselves along the way. It’s a chance for teens to re-examine and bolster respect in their own lives, too. By the way, GRG has a big effect on boys. Girls grounded in respect choose respectful friends and romantic partners. GRG girls expect the boys around them to be respectful and treat those boys with respect. Parents of boys, you want your boys to choose respectful girls – as friends and as romantic partners. 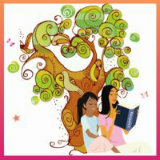 Our GRG blog, http://www.girlsrespectgroups.com, is full of info, stories, ideas, and resources for respect-based activities. Learn how to start your own GRG – there’s info for teens, preteens, and the adults who anchor the program. Join the GRG community! Contribute your own ideas and stories of respect in action!